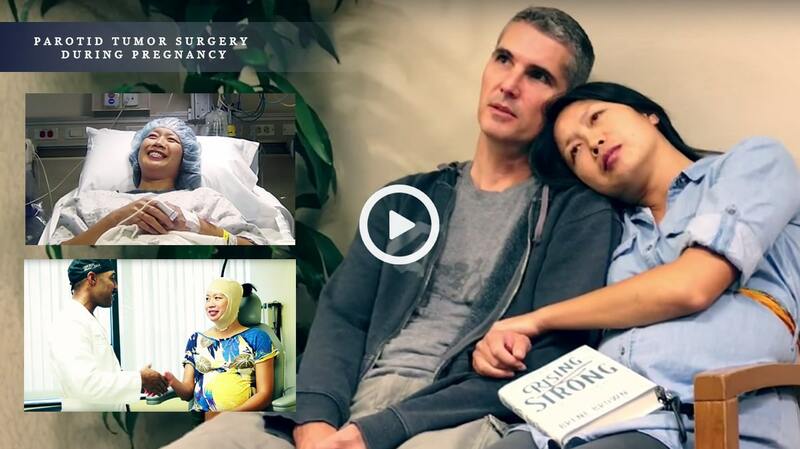 Watch informational videos about parotid tumors and see Osborne Head & Neck Institute patient success stories. Top-rated and internationally renowned parotid and salivary gland surgeons. Dr. Osborne and Dr. Hamilton specialize in parotid, submandibular, sublingual and minor salivary gland surgery. Currently treating 15-20 patients per week for parotid tumors and salivary gland stones with a 100% success rate and zero facial paralysis with parotidectomy and sialendoscopy (salivary stone removal) procedures. The OHNI team was featured on The DoctorsTV show as they helped Angie. Waleed was diagnosed with bilateral large parotid Warthin's tumors. Only about 10 to 20% of patients with parotid tumors will be diagnosed with a Warthin's tumor, and only about 5% of Warthin's tumors will present on both parotid glands simultaneously. It was the rarity of his case and the risk of bilateral facial paralysis that made Waleed seek out the OHNI team. This episode follows the faith of Lydia Simpson a woman who was diagnosed with a deep lobe parapharygeal space tumor. 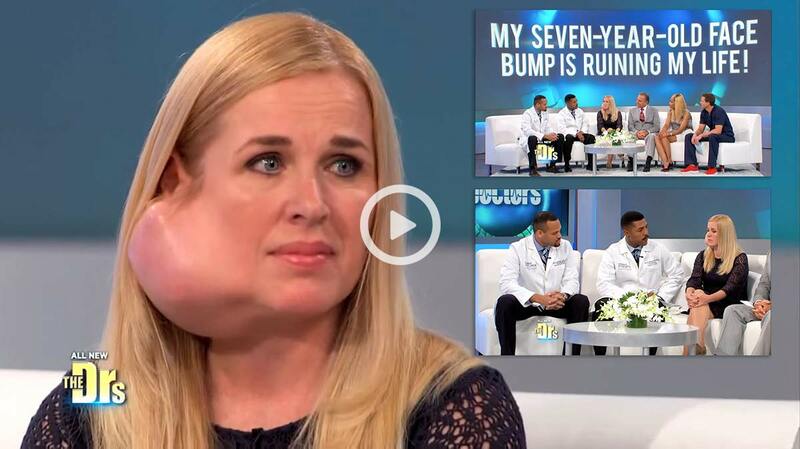 She was told she would likely suffer facial paralysis and would need her jaw split in order to remove the tumor. Relying upon the support of her husband Ward, CEO of GOD TV, they pray for direction and guidance. Dr. Osborne and Dr. Hamilton specialize in parotid, submandibular, sublingual and minor salivary gland surgery as well as the correction of complications associated with previous salivary gland procedures with a strong emphasis on minimally invasive tumor surgery, reconstructive facial surgery, facial reanimation, and the elimination of Frey’s Syndrome. As a surgical team Dr. Osborne and Dr. Hamilton have performed more salivary gland procedures and reconstructive facial surgery than any other surgical team in the world. They are currently managing over 20 patients a week. Their unique approach to surgery, combined experience, and constant innovation has allowed them to create many new and innovative surgical procedures that have bridged large gaps in current surgical techniques including transoral salivary gland surgery, reconstructive flaps for facial defects, and expanded the scope of sialendoscopy procedures to remove stones traditionally thought too large to be removed via traditional endoscopic techniques. Dr. Osborne and Dr. Hamilton are also considered master diagnosticians often serving as tertiary consultants, diagnosing illusive previously undiagnosable conditions. They have published extensively with over 80 peer-reviewed publications, books chapters, and online articles. Dr. Osborne and Dr. Hamilton havebeen invited speakers to many national and international conferences and are regarded as world leaders in the treatment of salivary gland disease. Here your safety and satisfaction are the top priorities and our goal is simple, to safely perform your procedure while maintaining a normal appearance and minimizing any potential complications. The doctors are Board Certified and Fellowship trained in both tumor removal (Dr. Osborne) and plastic surgery (Dr. Hamilton). Discuss your treatment options with Dr. Osborne. "They are both a gift!" Jason S. Hamilton, MD FACS is the Director of Facial Plastic and Reconstructive Surgery, for the Osborne Head and Neck Institute based at the Cedars-Sinai Medical Towers. Dr. Hamilton has advanced expertise in plastic, reconstructive, and aesthetic surgical techniques involving the nose, face, and neck and restricts his practice to the treatment of these areas exclusively. Dr. Osborne and Dr. Hamilton are dedicated research scientists with over 80 book chapters and peer-reviewed journal articles published in the medical literature. Many of their research papers have focused on the diagnosis and management of parotid tumors and the reconstruction of facial defects caused by head and neck surgical procedures. They continue to actively investigate and develop minimally invasive procedures for the treatment of parotid tumors. My benign parotid gland tumor was a 31 year growth until my daughter found OHNI’s incredibly informative website, miraculously, it seemed to me. For I had years ago given up hope of finding a doctor to safely and without facial nerve damage, remove my increasingly grotesque looking and physically debilitating tumor. Remarkably, after an 11 hour procedure to remove a 7 pound approximate weight tumor, I experienced no pain whatsoever. That first night, to quell the worry of family who insisted I’d need it, I reluctantly took one prescribed painkiller. That very next day we had lunch out after a tour of the market. I felt great! In the following days I had bruising and swelling of my face that subsided within the week, but no discomfort. On the third day post surgery, following the removal of the drain, the entire staff gathered in that little room for a look at the new me….